Qigong for health and beauty is a series of exercises that targets the face, scalp, neck and throat. You will learn to bring fresh circulation to your eyes, ears, gums, skin, neck, scalp / hair and more. Doing this 15-20 minutes routine daily will reveal many benefits. TMJ & Tension Headaches– We will show you how to target facial muscles through massage that can help to lesson or even eliminate jaw pain, release tight muscles and relieve tension. The masseter muscle that causes TMJ pain can cause earache and toothache symptoms. Headaches – By using gentle pressure and qigong massage techniques we will show you how to improve blood flow, relieve muscle spasms, increase relaxation and relieve tension in the head and neck. Facial Rejuvenation – This process can be achieved by surgery, but we will show you how you can accomplish it by doing a simple 15 to 20 minute exercise every day. Wrinkles – These exercises will help you to increase circulation in the head, face and neck, and that in turn will aid in the production of collagen for thicker and more elastic skin texture. This process works to tighten the facial / neck fascia web giving you a more youthful appearance. Circulation – Using these Qigong massage methods on the face and head you will improve blood and lymph circulation increasing oxygen and nutrient delivery to the cells. Good circulation is absolutely necessary for healthy glowing youthful looking skin. Breast Health – To support breast health we will show you very simple yet effective qigong self massage techniques. Learn this short 15 – 20 minute routine in great detail. This set of qigong exercises is both powerful and accessible to all. 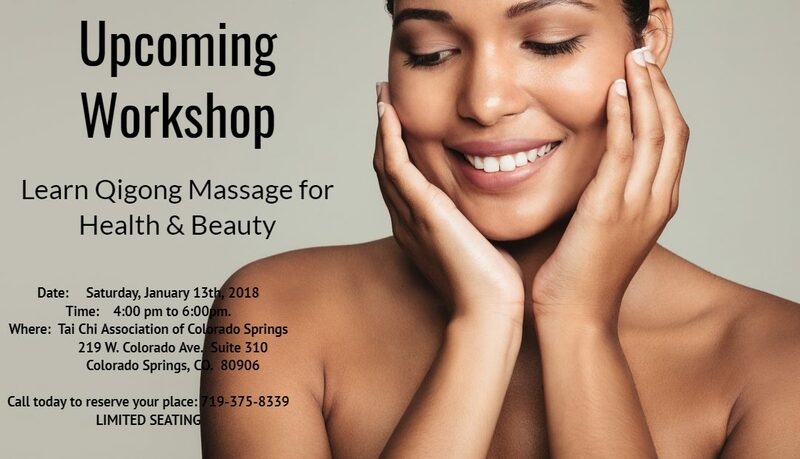 This informative workshop will be focused around releasing stress and toxins in the face, neck and head, and then increasing circulation in these areas for health and beauty purposes. Traditional Chinese Medicine treats the root cause of illness and injuries, rather than the symptoms. In this workshop student will learn a variety of methods including but not limited to massage, patting, rubbing and acupressure. 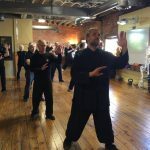 In many disciplines these qigong exercises are used as a exercise to prepare oneself for meditation, as the methods release tension deep into the face, neck and head. This allows the practitioner to have a much better meditation experience.